OpenROV shared the results of their June 2016 underwater expedition to locate and robotically explore the wreck of the S.S. Tahoe, currently sitting at a depth of 150m in Lake Tahoe. Back in 1940 the ship was intentionally scuttled in shallow water, but unexpectedly slid to a much deeper depth. OpenROV used a modified version of their new Trident design to dive all the way down to the wreck and take a good look at things, streaming it over the internet in the process. We previously covered the DIY research vessel that was designed and created as a floating base station for the ROV while it located and explored the wreck, and now the results are in! The video highlights of the expedition are below, as is a video tour of the ROV used and the modifications required to enable it to operate at 150m. Most of us know that we should lock our computers when we step away from them. This will prevent any unauthorized users from gaining access to our files. Most companies have some sort of policy in regards to this, and many even automatically lock the screen after a set amount of time with no activity. In some cases, the computers are configured to lock and display a screen saver. In these cases, it may be possible for a local attacker to bypass the lock screen. [Adrian] explains that the screen saver is configured via a registry key. The key contains the path to a .scr file, which will be played by the Adobe Flash Player when the screen saver is activated. When the victim locks their screen and steps away from the computer, an attacker can swoop in and defeat the lock screen with a few mouse clicks. First the attacker will right-click anywhere on the screen. This opens a small menu. The attacker can then choose the “Global settings” menu option. From there, the attacker will click on “Advanced – Trusted Location Settings – Add – Add File”. This opens up the standard windows “Open” dialog that allows you to choose a file. All that is required at this point is to right-click on any folder and choose “Open in a new window”. This causes the folder to be opened in a normal Windows Explorer window, and from there it’s game over. This window can be used to open files and execute programs, all while the screen is still locked. [Adrian] explains that the only remediation method he knows of is to modify the code in the .swf file to disable the right-click menu. The only other option is to completely disable the flash screen saver. This may be the safest option since the screen saver is most likely unnecessary. Update: Thanks [Ryan] for pointing out some mistakes in our post. This exploit specifically targets screensavers that are flash-based, compiled into a .exe file, and then renamed with the .scr extension. The OP mentions these are most often used in corporate environments. The exploit doesn’t exist in the stock screensaver. Tired of messing with the hardware of the Didj you picked up? Now you can use it for gaming on that last road trip of the summer. 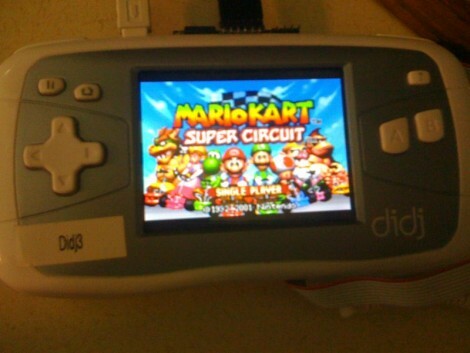 A Game Boy Advanced emulator has been ported for use on both the Didj and the Explorer. You’ll have to dig up a copy of the original bios for a GBA as well as some ROMs, but the rest seems pretty straight forward. We are still holding out hope for Doom or Quake on the Didj, but this will help us wait a bit longer. Leapfrog has a new device out called the Leapster Explorer. [The Moogle] has been poking around the insides and he patched into the serial bus to get USB host mode running. Because the same cartridge interface is used for the Didj and the Explorer, tools like the DJHI should continue to work. The $70 price tag makes this a no-brainer if you interested in doing some portable hacking. 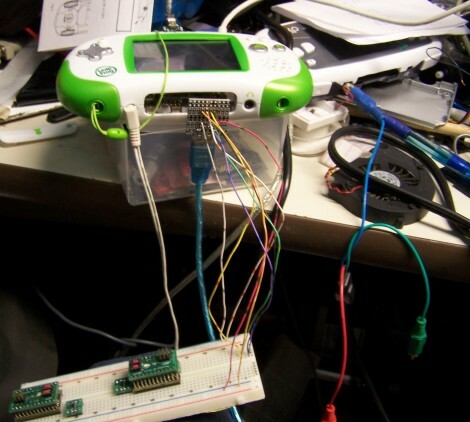 We’ve seen promising Didj hacks such as OpenGL and Video out, hopefully the new hardware will help advance the cause.